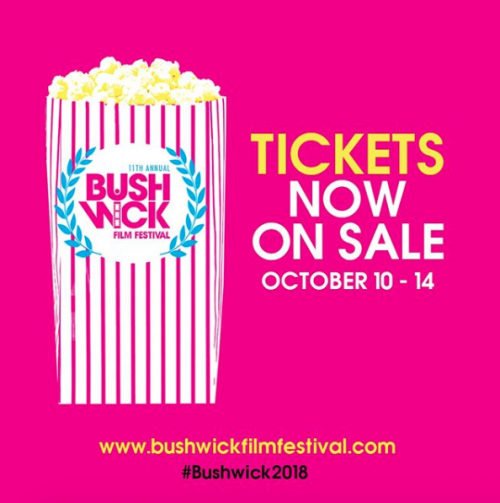 Alright film buffs: this coming week, from October 10-14, the Bushwick Film Festival (BFF) returns for its 11th anniversary. The annual celebration of Brooklyn’s finest filmmaking talent hosts shorts and homegrown films galore, plus interesting and timely panels like Women in Film & TV and Perspectiva Latina. Founded in 2007, BFF is a leading independent film and media company in Brooklyn. The festival is hailed as one of Brooklyn’s most influential cinematic events for its contribution to the borough’s artistic, cultural, and economic growth. It attracts film and entertainment industry leaders at national and international levels; and showcases films created by the best and most diverse emerging independent filmmakers in Brooklyn and worldwide. BFF provides a platform for emerging filmmakers to share their stories and present opportunities for them to make a living doing what they love. The five-day festival has a myriad of passes available — from press to weekend screenings — so viewers can customize their experience (and their spending). More information can be found on the website, Instagram, or at the box office (100 Bogart Street), and a list of films can be found here. Plus, read our exclusive Thursday Spotlight interview with Kweighbaye Kotee, founder and CEO of BFF!